Are you a creative person who like working on a computer? 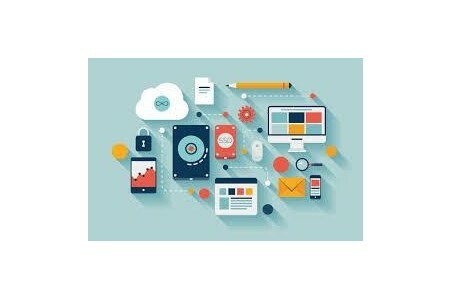 Web design may be the perfect field for you. Every business needs to present a new and exciting image to their audience, the public. Good web designers help companies present their best ideas using a combination of technology and designs. Using these tools, you may be the one to help your company or clients get the message to the public. Web Design Are you interested in learning how to design web pages and websites in the newest version of HTML5? As you know, the main language for displaying content on the web is called HTML. But web design is more than just coding HTML. Web design is an exciting field that brings together coding, design, color, images, video, communication, business, and leadership. Are you interested in learning how to design web pages and websites in the newest version of HTML5? As you know, the main language for displaying content on the web is called HTML. But web design is more than just coding HTML. Web design is an exciting field that brings together coding, design, color, images, video, communication, business, and leadership. Web design is part of the software and online development industry. The U.S. Department of Labor predicts the growth of this occupational area to be 27% from 2014 – 2024, which is much faster than the average for all occupations. Searching the job posting sites, you will find the median pay around $64,970 per year ($31.23 per hour) and top earners can be over six figures. If you strike out on your own to follow the entrepreneurial path in creating your own apps, then the sky is your limit, and national averages indicate that 1 in 7 web developers are self-employed. The main reason for this high growth is the growing demand for new websites and website revisions. Web design styles come and go. New technology gives web marketers new tools to incorporate into websites. Expanding mobile and smart devices allow web content to penetrate more facets of daily life. Growing concerns over cyber security will also accelerate investment by governments and companies in advanced web technologies and systems. You will learn the skills you need through the real-world project-based learning approach. You will also learn the key industry and design concepts, including Design Aesthetics, Wire Frames, Video and Imagers, Color, Writing for the Web, Future Trends, and Workplace Ethics. You will gain the design and technical skills needed to go from concept to finished product. You will learn how to determine customer needs, create a project plan, and produce the website. You will acquire and practice the skills required to develop quality websites. As you work through the real-world projects, you will develop interpersonal skills in communication and project management. Your work in this course will help to build your career ready portfolio. Internet Access. Adobe Creative Cloud monthly access will be provided at no cost for the duration of the program. All of our textbooks are now provided as eTextbooks*. You can access them on your laptop, tablet, or mobile device and can study anytime, anywhere.